vr-lightsaber uses one smartphone as a wireless controller for a “lightsaber” which can be viewed on another smartphone inserted into Google Cardboard. It’s an experiment to show how web technologies can provide an immersive VR experience using hardware and software people already own. 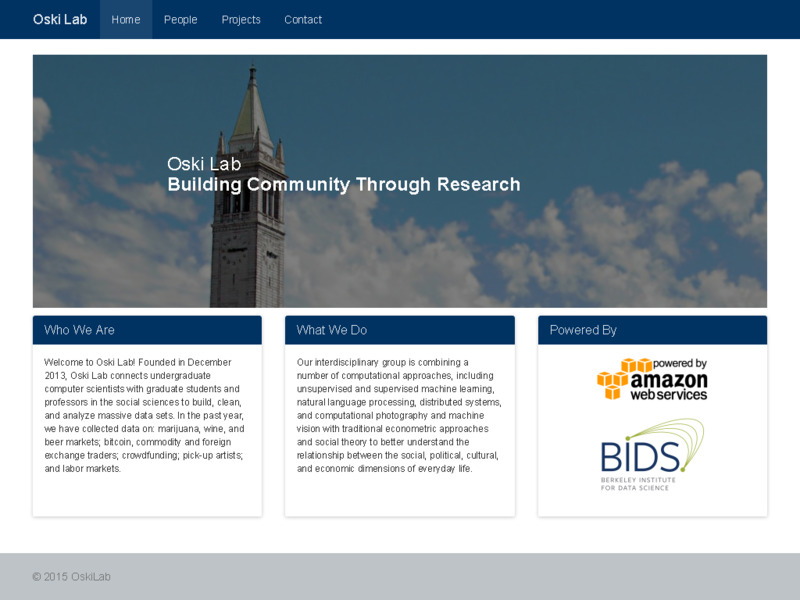 My first semester as an undergraduate research apprentice for the Berkeley Institute of Data Science involved rebuilding the oskilab.com website from scratch. The website is backed by CouchCMS to manage the creation and deletion of lab members, projects, and site text. During my summer internship at VMware, I built an internal tool to search and find employee information. It’s basically an address book hooked up to an LDAP server with thousands of people records. 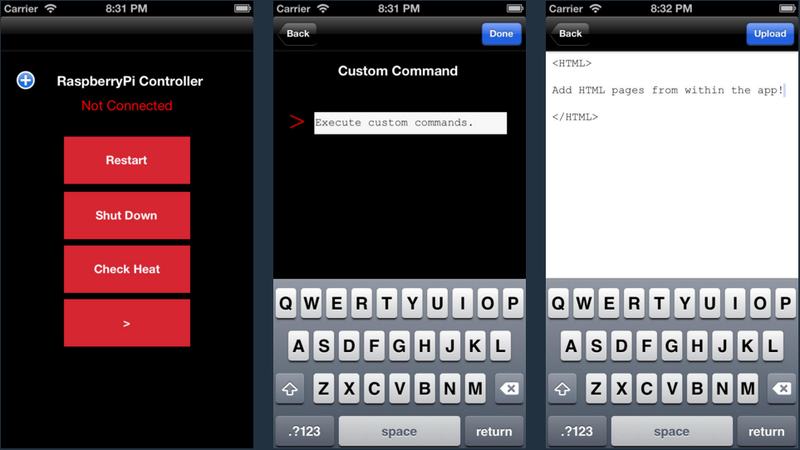 The frontend for the iOS client was built with Titanium Appcelerator. The second part of my project was to create an http-ldap connector. The purpose of the connector is for clients to access database records in a RESTful manner. Clients make AJAX requests with JSON payloads and receive JSON data back. This is made possible by a Node.js server which is making the LDAP requests to Microsoft Active Directory. During my summer internship at VMware, I had the pleasure of building the company’s first Apple Watch app. 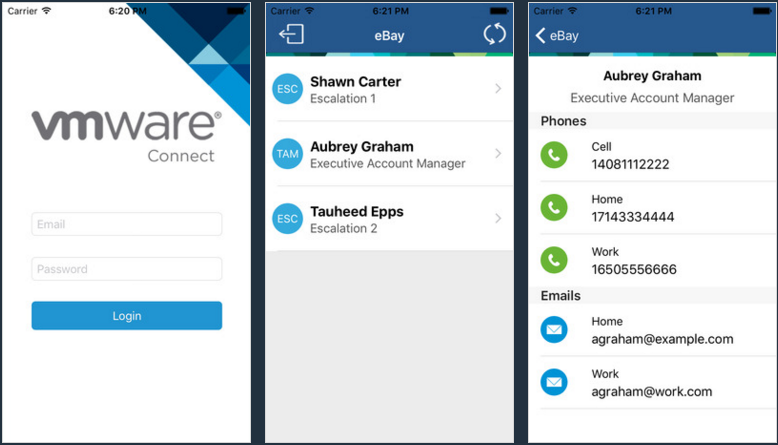 The app allows "C-Level" customers of VMware products to access contact information of their Technical Account Managers and their respective escalations. The Apple Watch app allows for quick customer support access to high level customers. The app was shipped and distributed at VMworld 2015. During my internship at Facebook, I was tasked with building technologies for my high school. Summit Talks is a student-driven, teacher-moderated group chat system that allows students to discuss projects and assignments online. My high school heavily focused on self directed learning and I believe a large part of being a responsible student is to know when to ask for help. Summit Talks provides a platform for students to message their peers, embed graphs, and watch YouTube videos right in the message. 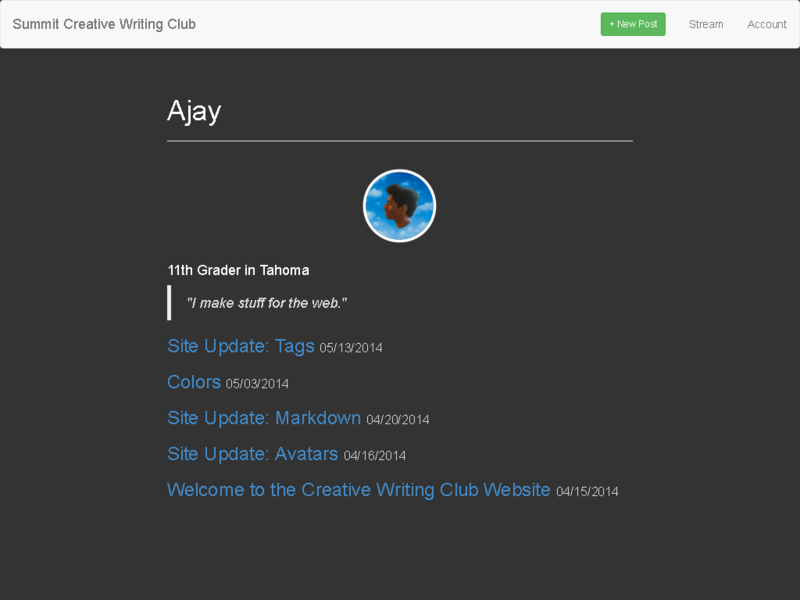 It features teacher moderation tools like muting, deleting, creating rooms, and inviting. The chat program also features advanced features like scrolling up to reveal older messages and joining multiple rooms at once. 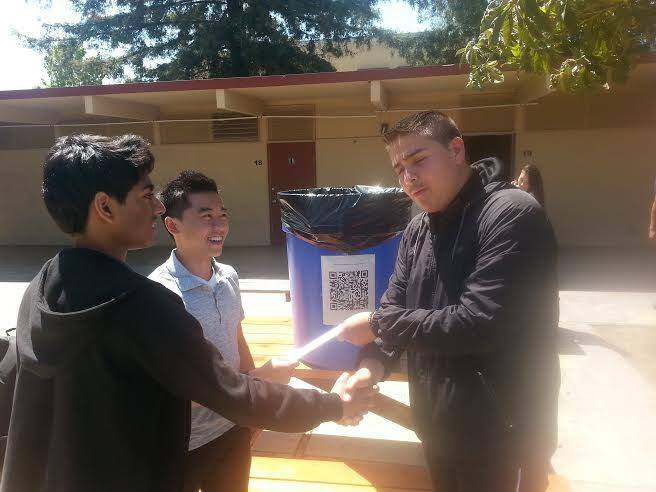 Determined to solve the lack of recycling at our high school, my friend Alex and I decided to gamify the process. Alex was able to acquire recycling bins from the city of San Jose, and I taped QR codes to them. The idea was that students would throw something in the bin and scan the QR code on the bin. 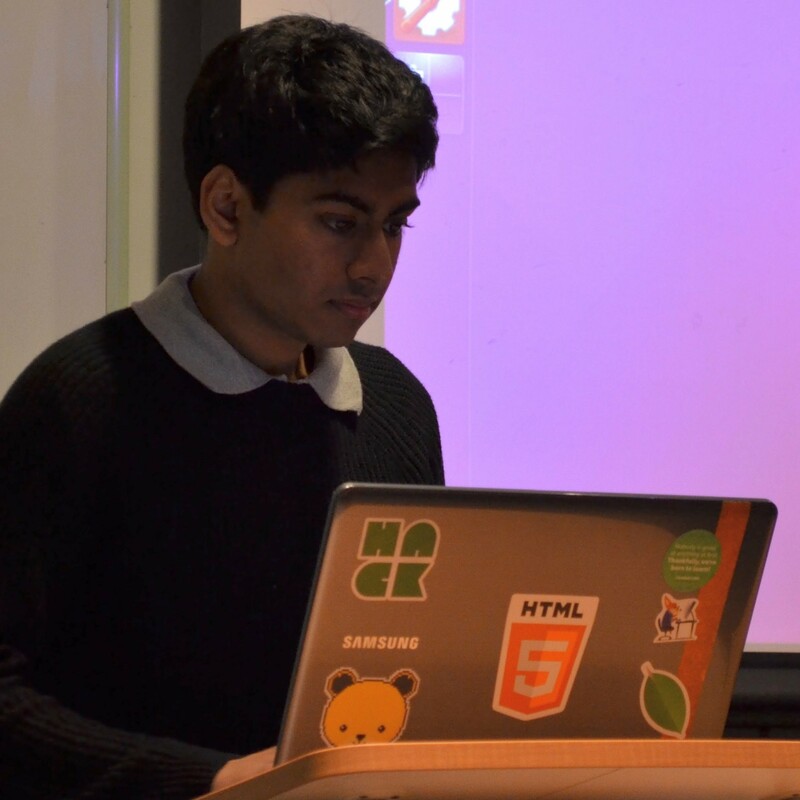 The code would make an API call to the Python server running on GAE, authenticate the Google account, and add a point to the student’s score. The leaderboard was meant to encourage students to compete against eachother for the monthly prize. Anonymously tweet people what song they sound like. For example, if I felt like my friend’s trap game was strong I’d anonymously tweet him some 2Chainz. I built leapcapjs for entry in the Synopsys Science and Technology Championship and it won a prize from ACM. I consulted with a local physiotherapist to talk about how hand sensing technology could improve his work. He said that most patients often forget how to do excercises or do them incorrectly without supervision. I used the power of WebGL and the Leap Motion Controller to create a platform for rendering the human hand in real time, in the browser, and subsequently capture the motions so that they could be sent to a doctor for analysis. This project also had the potential for being integrated with web sockets to create a realtime doctor-patient solution. My high school was a forward thinking, tech driven school. This meant that there was a 1:1 student to laptop ratio. Being the complete nerd I am, I took pride in fixing the ever-failing HP laptops of my peers. I decided to scale my operation and create the Summit Tech Help Committee. In order to do this, I needed a support ticket system - so I built one. STHC allows people to log into their Google account and file a support ticket. The ticket gets emailed to a Google group with everyone in the Committee. The automated email contains the issue and contact information of the filee. I started my web development journey on the Raspberry Pi microcomputer. After I found out about SSH, I spent my 10th grade classes remote logging into my Pi and messing with my server. I wrote a small iPhone app that turned some common SSH commands into buttons. The user first connected to their Pi and got access to Restart, Shut Down, Check Heat, and custom command buttons. The app also allowed the user to upload HTML files to the server remotely. This app received around 5,000 downloads by the end of its lifetime. This little website kickstarted my interest in using the web to improve the lives of people around me. My high school’s experimental math program brought some initial challenges for students. They didn’t know what to work on next so they just stopped working. I learned PHP and mySQL in a weekend to import the Excel spreadsheet of student progress into a database. It then allowed for a student to input their ID number and receive a formatted table of their math progress. 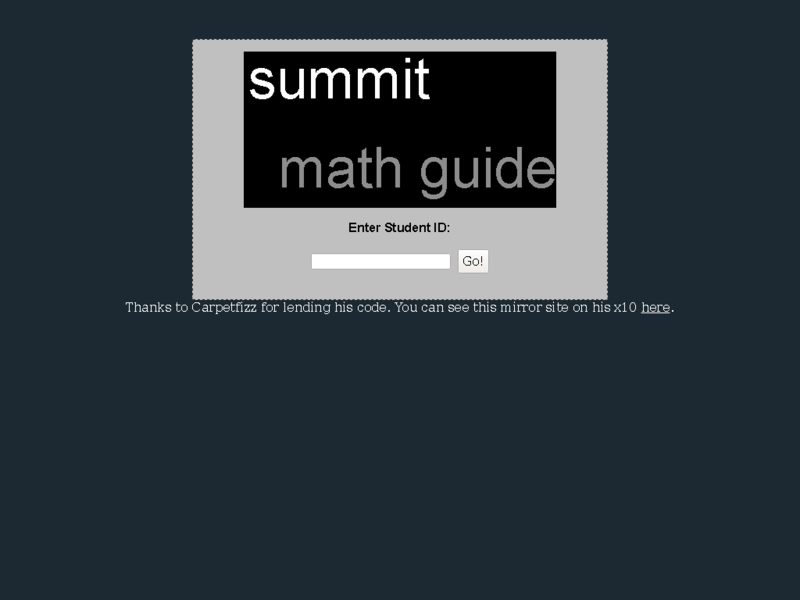 It even had SMTP support to send the student an email with the information. 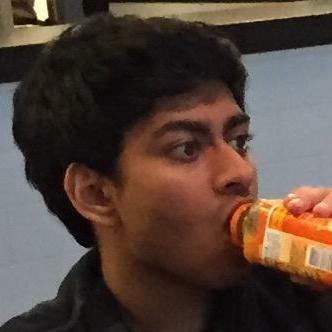 Thanks Ronak for still hosting it!